I am a fellowship-trained surgeon. 1. It takes on an average at least 15 years (after high school) of head in the sand (books) to complete fellowship and reach the $200,000 debt figure that you are quoting. 2. A 40-50 hour work week is a dream for most MDs. Most of my colleagues work 60 hrs and some up to 80 hours a week. 3. Not counting the hours after you go home and come back for ’emergencies’. 4. Family life is a ‘possibility’ for PAs. Look around and see how many MDs have kids before 30. You will be surprised by the small number. 5. Most of my PA friends work two jobs (totaling 60-80hrs/week), so their salaries go up accordingly. Ever heard of an MD working two jobs. I guess 120-160 hrs/week is kinda difficult. Huh..
6. PAs work just as well and earn just as much respect by their patients and colleagues. 7. The only trajectory this trend is going is upwards. Mid-level providers’ need and utilization has been increasing exponentially. I am totally happy with what I am doing. 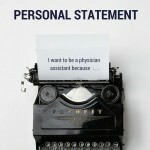 But if I were to advise an aspiring student for MD vs. PA, I would totally refer him/her to this post. I think the round 1 showdown is won by PAs, not MDs. 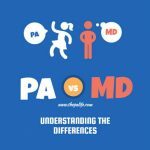 Dr. S is a fellowship trained surgeon who was kind enough to weigh in on the PA vs. MD debate in the comments section of this blog. 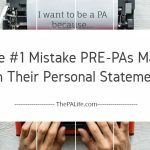 I am a practicing PA and I’m going to rebuttle every single statement above. 1. 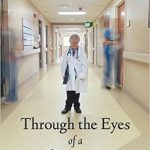 It takes on an average at least 15 years (after high school) of head in the sand (books) to complete fellowship and reach the $200,000 debt figure that you are quoting. —> very falsely representing medical school and scaring people away without facts. A PA also takes on average 6 1/2 years after high school and has about 200k in debt / then they start working. A medical student is about eight years after high school Before they start getting paid and also have 200-400k in debt. The difference between when a PA and a medical student start generating income is only roughly two years. Once a medical student is a resident they are making a salary (and I know plenty of residents that are making about 60 K which is not far off from a starting salary of a PA.) Some medical students may have more debt than PAs (and they may not be getting paid as much is PAs as residents or fellows initially) however they’re taking a short term loss for a long-term gain, as once they graduate and are officially working as doctors their income is significantly higher than that of a PA for the rest of their life. The other big difference is that when doctors graduate they graduate with prestige and a lot more respect than what PAs get – also a significant amount more of education making them the expert and not a jack of many trades and a master of none. 2. A 40-50 hour work week is a dream for most MDs. Most of my colleagues work 60 hrs and some up to 80 hours a week. —> I know many PAs working 60 to 80 hours a week just with their one full-time job. A lot of doctors are dumping work on their PAs so that they can have shorter work week’s which is in turn increasing the PAs workload. 3. Not counting the hours after you go home and come back for ’emergencies’. —> Doctors are punting their call on PAs. Doctors do not like to take call so many PAs are the ones doing the night call for them now. This may be different for people who are surgeons that physically have to go in and do the surgeries that PAs cannot. But if you’re not working in a surgical department I would say for the most part doctors are giving up their call schedules to their respective PAs for an easier work life balance for themselves. 4. Family life is a ‘possibility’ for PAs. Look around and see how many MDs have kids before 30. You will be surprised by the small number. —> Also completely in accurate. I know plenty of women who have gone through medical school that had children during the first four years. I also personally know somebody who was a Harvard graduate it attorney that went back to medical school and had one child each of her for years of the first four of medical school and is top of her class. Medical schools are more accommodating to women having children as you do not need to graduate with the class that you started with. 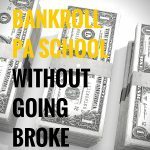 Unlike PA school where you will graduate with the class that you started with because you don’t have the ability to stop and take a break if you needed to then jump back in. 5. Most of my PA friends work two jobs (totaling 60-80hrs/week), so their salaries go up accordingly. Ever heard of an MD working two jobs. I guess 120-160 hrs/week is kinda difficult. Huh.. —> MDs don’t need to make money working two jobs because they’re usually making enough doing one. 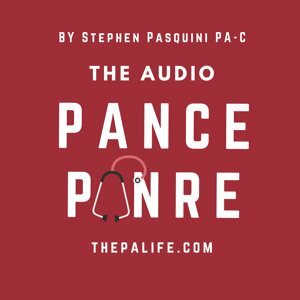 PAs are working two jobs to try to pay down their student loans or get out of debt and they’re working themselves to the bone to barely make what a primary care physician is. 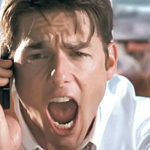 there will be a couple people from the top 1% who are probably making close to 180 or 200,000 but I would encourage those who are looking from the outside to look at the reality of PA salary reports or the AAPA salary port and see what the average salaries are that are being reported and keep in mind that average are those in between new graduates and people who have been working a very long time and you will see that the salaries are still nowhere near those numbers . Also to say that most PAs are working more than one job would be completely in accurate. I know plenty of PAs who are working for more than 40 hours a week just in their first job and the last thing they want to do is go work a second one afterwards. 6. PAs work just as well and earn just as much respect by their patients and colleagues. —> Completely disagree with the statement. I have never been more disrespected then I have as a PA. I constantly feel like the middle child. The public still really doesn’t understand what we do and the hospital by laws in a lot of areas do not reflect their respect for us as we are restricted in what we can do practice wise. There are many positions that refuse to speak with PAs in demand to only speak with the physician. There are patients who asked to see doctors over their PA. There are administrators who will not speak with PAs and PAs are not allowed to park in the same parking lot as most positions or get free food in the hospital as positions are or access to the doctors lounge in many areas. 7. The only trajectory this trend is going is upwards. 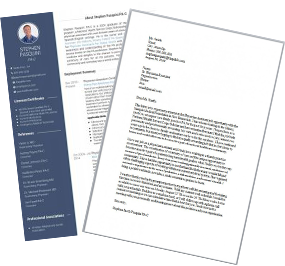 Mid-level providers’ need and utilization has been increasing exponentially. —> I want to make it clear it’s been an active trend to not refer to PAs and NPs as “midlevels” as we do not provide midlevel care. More People are using us because we are cheap labor. I strongly believe with the changes in education for nurse practitioners and PAs changing to online format versus in person schooling we are generating a diploma mill that could result in over saturation. In many markets we are already dealing with oversaturation and it is driving down salaries. Hi LHahn. 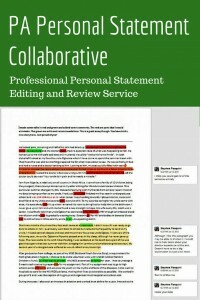 Would you mind if I published your comment as a post on the blog? I appreciate your comment and it would be great to open this up to a wider audience. Thanks! What you have said is timely and a very good rebuttal. Do you want to edit this and send it back to me for publication or are you OK if I perform the edits myself? Is there anything you would like to add to this? I disagree with this post. I am a practicing orthopedic surgery PA. First, being “on-call” is MD friendly, not PA friendly. 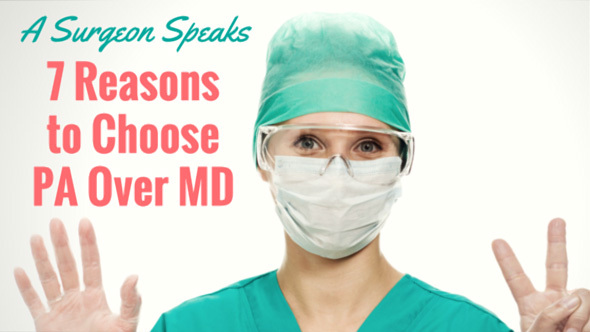 The MD only gets called for being on-call if there is a surgery or procedure needed. The MD is paid by hospital per call just to be on call (not do anything) and then get additional pay by billing for any procedures they perform. PAs, on the other hand, must take all phone calls from ER, patients, pharmacies without extra pay PLUS attend any procedures, ER visits or surgeries. We are salaried and do not get paid per case while MDs do. MDs are much more motivated to work harder thus the PA works harder. But the PA doesn’t get paid per surgery or patient so the motivation is not there. I agree with above that the MD is living in expensive homes and buying cars in cash while the PA lives a much more modest lifestyle while working many, many more hours. Moreover, patients will criticize and complain much more freely to a PA than their MD and show more appreciating to their MD. Additionally, from an investment standpoint, there are few to none investment opportunities to PAs. 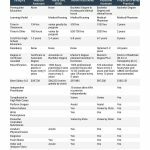 Ambulatory surgery centers, medical device, medical billing, depositions and IMEs are all “physician only.” PAs can not invest and thus not gain capital like physicians can. If I could start all over again, I’d be a MD for sure. It is the financially savvy and lifestyle friendly way to go. MDs must choose a speciality to fit with a comfortable lifestyle. But ultimately, MDs make the schedule and can work when and how they want. I agree. I am a PA and if I could do it again I would do MD / DO any day of the week, I disagree with the statements from the surgeon above. Why are we as patients having to spend just as much money for a PA as an MD on a visit that is just Not right. That is so wrong on so many levels ..corrupt even. We spend just as much for an office visit but we do not get a REAL Doctor ..
Now, what the hospital, urgent care, ER or doctors office charges the consumer is entirely up to them. Should you be charged the same amount to see the PA? I’m a PA and my answer is no, but the entire system is unfortunately rigged against the healthcare consumer. That includes myself, who when I’m not providing care for my patients I or my loved one are consumers of it. Laws need to be changed and people need to stand up and demand more. We’re certainly paying more than anyone in the world for our healthcare. It would be nice if we actually got something out of it or consumers could enjoy a high level of care from PAs while also seeing a financial benefit as an option. While I can identify with your concern, you have to understand that PAs are trained on the same medical model as an MD. It is my belief that it all boils down to the individual who is treating you. I have worked with amazing PAs and absolutely atrocious MDs, and vice versa. 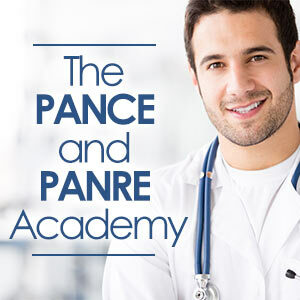 MDs and PAs are both required to maintain continuing education. If the individual wants to be an amazing practitioner, then they will strive to do that and you wouldn’t even be able to tell the difference. 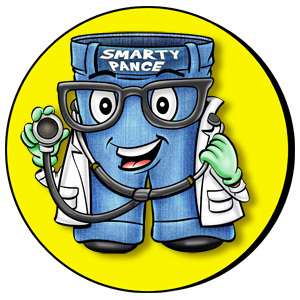 I am a PA married for 34 years to a physician (Otolaryngologist). We met in the Air Force soon after I finished PA school and she finished her residency. She talked me out of applying for medical school saying more than a hundred times “I wish I were a PA instead of a doctor”. Our son, who we always thought would go to med school, saw the differences in our lifestyle – me going to all his soccer games; her being on call and going to the hospital/surgery instead. He is now a PA. Enough said. My wife is super wise. I chose to go to PA school because I want to be more than a healthcare provider. I want to be a good dad, a good husband, a good friend, a good musician, a good brother, etc. and I knew that being a PA was going to give me more TIME to attempt to be those things in life, while still allowing me to touch peoples lives with the help of others, doctors, nurses, and PA’s alike. Bottom-line: I think it’s okay to be honest about it, in the right way. Telling someone you want to benefit others outside of medicine isn’t a bad thing. I work for radiologists that work 40 hrs a week. They make 350 to 400 thousand a year. I think you need to look at more than internal medicine. The surgeon who states she works 60 hrs per week makes overer 500 k a year. I worked for neurosurgeons making 700k plus. Yes they work extreme hours. I think the numbers you obtained are from inaccurate sources or just internal medicine data. Most of it is extremely off. My mds pay cash for 70k cars and cash for 500 k homes, some literally drive a new 200k porsche to work. THEY SEND THERE KIDS TO PRIVATE GRADE SCHOOLS COSTING 25 K A YEAR. They are not making 32 per hour. I think we need to stop assuming being an md is a bad thing and stop THE NONSENSE PITY I FEEL sorry for them. Most pas saying this have regrets about their decision to become a pa and I believe are trying to somehow justify there chosen life. FYI I know those docs who drive a 200k porsche paid for in cash and live in $1.3 million homes. Where do you get your numbers they are nonsense. Don’t falsify the financial ability of all mds and don’t generalize. It make it seem like it was a great financial decision to become a pa vs md. 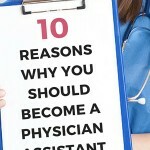 I have been a pa a long time and make 110 000 a year pretty good for pas in general. But …..i sincerely do at least 60 percent of the work of my radiologists, work similar hours, and make 25 precent of what they make. I have been asking for a raise for 3 years and have not been given one. I have an extremely high level of responsibilities and do high risk procedures daily. I would rather be the radiologist and get paid adequately. FYI If you look at my PROCEDURE numbers I should be making over 150 k plus a year. Can anyone adequately address the concerns and examples of this poster? I dont know where he/she is from, but where I am at it is the same way. Most of the PAs I hear from are upset about the “ceiling” on the salaries when the actual duties (not legal this or additional training that) EXACTLY mirror that of the physician. If everyone (regulators, policy makers, public, etc) are in agreement that PAs are able to provide the same care (i.e. same procedural codes as in the above example) as those who have tens of thousands of additional hours of training (as the article states), then why the cap on the salaries for those doing the same tasks? Someone make good sense of this please. Does anyone have a thorough explanation/answer to this? Interesting point! Will you please address the posts above with your viewpoint and potential solutions for better pay/equity for PA’s? Looking forward to it!! Maybe you should leave your employer then if you are not getting adequately subsidized for your continued contributions to the practice. I feel like your entire post was based on the money factor, one cannot base their decision to go into something as difficult as medicine solely on money, and you cannot look at what others make and cry foul; you don’t like it leave, its that simple. You sound like a bitter employee, and if I was driving that 200K Porsche I would fire you so I could by the 90K dollar Range Rove to pull my 500k boat to my 2 million dollar beach house while I thanked you for your efforts. To be sure, the three posters above you didn’t ask about how you felt-they asked for a sensible position/statement of fact/explanation about the scenario outlined. You didn’t seriously address any of it. There is a ceiling and once you hit it, you can’t work “smarter”, but you WILL continue to work harder than your physician colleagues on the “team”. I would say the fact the Medicare reimburses PA care at 85% of what they reimburse the same care given by a physician has something to do with it. AAPA has been working diligently to correct this. But as long as Medicare does this, most other insurers are going to follow a similar trend. Therefore, we will be paid less. I don’t agree that it should be this much less. But I work with several physicians who tell me they wish they had gone to PA school. That doesn’t reflect on me. 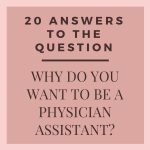 I happily passed up on Med school to go to PA school because I wanted the flexibility of switching specialties freely and the better work life balance that is found for PA’s in most areas of medicine when compared to doctors. I agree, although I do see the reasoning behind different reimbursement levels. PAs were created as a lower cost high level solution to expand healthcare access. 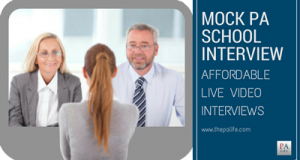 We do have a lower level of training when compared to MDs and it seems reasonable to reimburse less for our services because of this, even if in the end services rendered may have been essentially identical. YES! the reimbursement needs to increase. Thank you for the added information you provided. 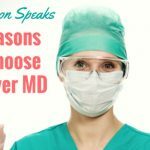 I totally agree with all of these aspects, in fact they are why I changed my mind about becoming an MD after wanting to be a doctor my entire life (and your post about why your wife is happy you’re a PA and not an MD). But how do I explain this to an admissions committee without sounding lazy or selfish? I know that being a PA is tough work and will require long hours and lots of sacrifices, but spending 11 more years in school to work 60-80 hours a week and maybe have a family doesn’t sound like the life I want for myself. Is it really ok to be that honest about it? I completely feel the same about this. 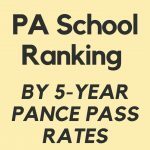 It’s one of the main reasons as to why I am leaning towards PA school as well. I know at least 3 MDs on a personal level and they all seem to have either raised a lovely family without any issues or have been able to enjoy their personal life just as much as their work life. However, I know myself best, and I know that I’d prefer to have more time to doing other things that I am passionate about. 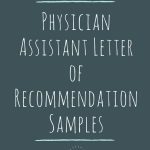 I’m just afraid that the admissions committee would see it as, “You don’t seem to be dedicated to the field of medicine.” So I’m in the same boat as you and I’d like to know whether it would be OK to inform the committee of these things. Yes! You can absolutely be honest about that in your interview! 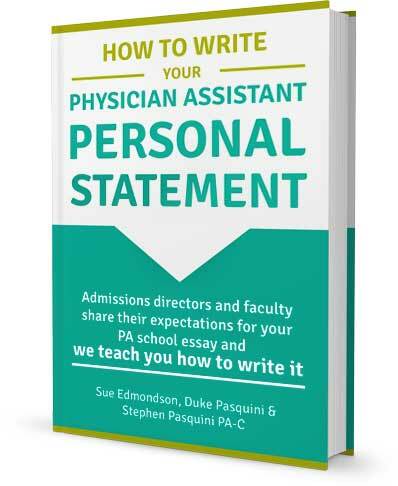 They will most likely ask you why you chose PA instead of MD or NP, so you should be prepared with an answer. You can definitely say you want a life, or you like the aspect of changing specialties, or you don’t want to spend 10 years in school, you could even say you want to get out and start helping people as soon as you can (though that may sound cheesy? Not sure…). 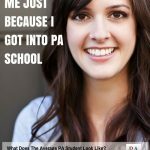 They know all the perks of choosing PA, and it shows you understand the difference. I’m not exactly sure what I all said during my interview…it was such a blur! But whatever I said worked because I start WesternU’s MSPA Program in August!! Woohoo!! Congratulations!!! I wish you the best, you will have a great time! Too much responsibility as a MD which means more time and energy. Taxes and liability for a doctor especially in private practice are highly expensive save you a whole lot of $$. PA Less time in school. PA Freedom to choose where you practice or if you want to practice or take a sabbatical. It’s also good for ppl like me coming in late in life and not interested in the rigor of MD life. I’m combining Dietitian work, Chaplaincy and becoming a PA so I can do more clinically and balance with the way I want to practice Western and untraditional medicine and not as a Chiropractor. 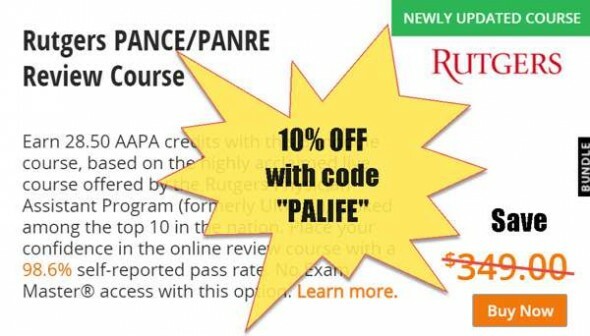 If you’re interested in research and/or teaching while practicing, becoming a PA and later obtaining a Phd can give you the room for such and it may satisfy the desire to be called “Dr” When budgets are low and economy down, PAs will be hired to save $$ The route of training will have an impact on practicing style. Quality of life makes the difference between MD/DO vs PA. ..the hugest benefit, outside of the obvious pay. There are some ppl obviously gifted to combine skill and training to take the definite MD route. Gotta know your motives and outcomes you desire. The life of a FT MD is going to be more demanding. The good thing is you can start off training for PA and move upwards if you’d like without wasting time or $$. I would imagine a single parent could become a PA and not totally write off the practice. 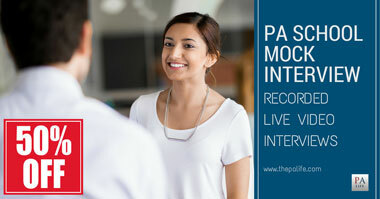 Being a PA could be a great fit or maybe even better fit for anyone with intellectual or medical disabilities (i.e. Narcolepsy) that won’t allow for the rigor MD work will bring. They could work as a PT if and when necessary and still have a living wage/salary without the debt to worry about. And please note not all disabilities of any type occur in grade school years but can develop anytime thereafter be it young enough to the latter adult years. I think one of the best guides is knowing which is your vocation or call or both and where does your passion lead you. I love what you said! So true. Starting out at 34. years old to me and wanting to still have a family very soon seems to me that the MD route may not be worth it — I want to teach later on so your advice on the phd is awesome. What fields would you say are best for PhDs when wanting to teach PA students and medical subjects?